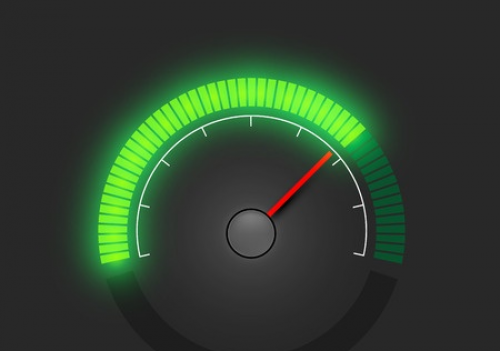 The communications regulator has today started to enforce their new business-focused Voluntary Code of Practice for Broadband Speeds, which aims to provide UK businesses with more accurate and reliable information on what line speeds they should expect from member ISPs. The new code, which is largely a mirror of Ofcom’s similar residential policy (here), was first announced at the very start of this year (here) and is being supported by BT Business, Daisy Communications, KCOM, TalkTalk Business, Virgin Media, XLN Telecom and Zen Internet; these ISPs provide services to around two thirds of SMEs who have “standard broadband” (i.e. ADSL, Cable and FTTC). In simple terms the code requires business ISPs to provide more accurate estimates of connection performance (DOWNLOAD and UPLOAD speeds) and to help resolve related problems when they arise. Business customers will also be allowed to exit their contract at any point if speeds “fall below a minimum guaranteed level“, without penalty. For example, a small business that buys a package advertised as being ‘up to’ 17Mbps (Megabits per second) might then be given a personalised estimated speed range of 11.3Mbps to 15.6Mbps and also a Minimum Guaranteed Speed (MGS) for their specific line of 7Mbps. But if the speed falls below 7Mbps and the ISP cannot resolve it then they’d be able to exit the contract. * Provide businesses with an accurate estimate of their expected speeds before signing up (this covers both download and upload speeds). * Manage their business customers’ speed-related problems effectively. * Offer them the right to exit their contract without penalty if speeds fall below the minimum guaranteed level. * Give additional relevant speeds information at the point of sale (e.g. how the ISP manages Internet traffic on its network, and how this might affect a customer’s speed). * Provide further detailed speeds information in writing to the customer after the sale. The new rule could be painful for some business ISP services, which often employ longer contract terms (e.g. 24 months+) and tend to cost more than home broadband deals. Mind you any ISPs with a concern can simply choose to ignore the code because it’s not mandatory. “Ofcom’s job is to make sure that everyone across the UK is getting the best possible communications services. We are concerned that too many businesses are not receiving the broadband speeds they expect when they sign their contract. We should add that the code itself “applies to all businesses, regardless of size, and to all standard business broadband services across all technologies” (this includes FTTC, ADSL, Cable and FTTP). However the “right to exit” (contract) clause of the Code is technology specific and does not apply to Cable (Virgin Media) or FTTP connections. On top of that the code itself does not apply to technologies and services where speeds are guaranteed and/or the customer has a dedicated connection, as in those cases the speeds achieved by the services are clear to business customers at point of sale (e.g. Ethernet first mile (EFM), Ethernet over FTTC (EoFTTC) and Leased Lines). Apparently the reason for FTTP and Cable connections being excluded from the “right to exit” clause is, using Ofcom’s words, “because by the very nature of the technology used, speed performance is less variable“. The regulator may be correct, although this neglects the fact that network congestion and other capacity / traffic management related issues can still impact performance. As an addition to Adrian’s remark above, we’ve been informed that Vodafone’s Wholesale products actually do comply with the new code, which is an interesting development. Pointless bureaucracy. This does nothing to improve infraatructure that can give better speeds in the first place. Plusnet seem to have been operating to this code for the fast few years- they have always sorted out any issues when our speed has fallen below the initial estimate.